Ciara O'Hara | Swimming, drawing on board. Home / Drawing / Swimming, drawing on board. 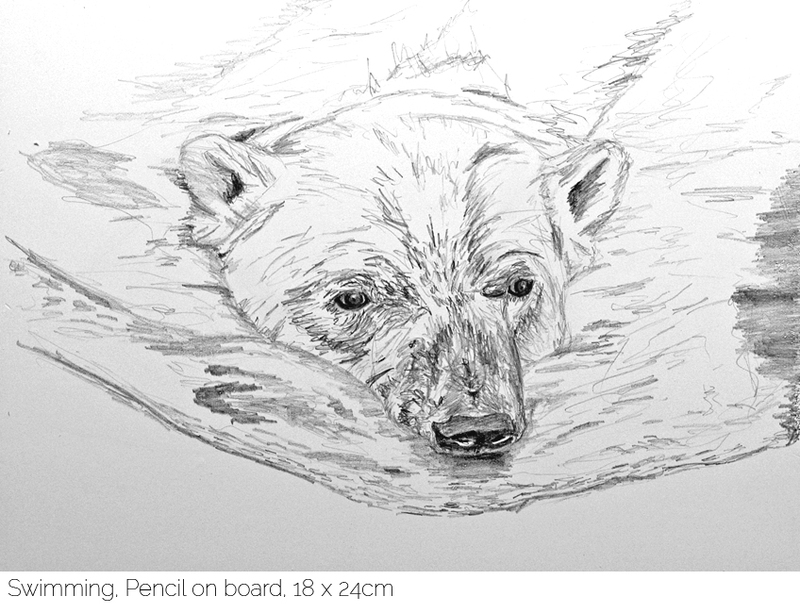 A pencil drawing on board of a polar bear swimming in search of food. This is a pencil drawing on board. It is unframed.